Passiflora, also known more commonly as passionflower, is a flowering plant made up of vines and sometimes shrubs. This plant is typically found in South America, eastern and southern Asia, and New Guinea; some species of passionflower are found in the United States and Australia, as well. A large bee, and sometimes bats and hummingbirds, are usually required to pollinate the passionflower. Passionflower has been cultivated for thousands of years by the Aztecs and other South American Native Indians. It is considered a beautiful plant and is frequently used as ornaments and decorations. But besides being an elaborate decoration piece, passionflower holds remedies to numerous illnesses and is used widely for its medicinal properties. The leaves and roots of passion flower are used to make medicine. Passionflower is most commonly used to induce sleep and treat insomnia. It eases gastrointestinal pain associated with anxiety, stress and nervousness. For those suffering from GAD (generalized anxiety disorder), it has soothing and relaxing effects. It reduces muscle spasms. For this reason, it reduces symptoms of drug withdrawal. Passionflower is used to treat and reduce symptoms associated with menopause. It is also used for ADHD (attention deficit-hyperactivity disorder), hysteria, to decrease nervousness and agitation, and to relieve pain. Passionflower helps lower blood pressure and regulates heartbeats. Passionflower extract can be applied directly to the skin to heal burns and inflammation. The extract can also be consumed to alleviate anxiety; approximately 45 drops of passionflower extract can be taken daily. 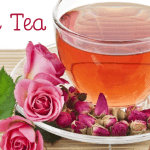 To make passionflower tea, take 1 teaspoon of dried passionflower leaves and boil it into 8 oz of water. Let it steep for 10 minutes and strain out the leaves. Drink one cup of this tea an hour before bed for better sleep. Passionflower can be bought at local health food stores or online in the forms of tea bags, liquid extracts or capsules. The passionflower is safe for most people when it is taken by mouth in amounts that are normally found in food. It is possibly safe when taken for less than two months as a medicinal treatment or in tea. However, there is a possibility that it is unsafe when it is ingested by mouth in large amounts. 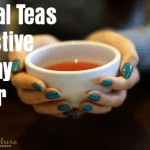 Passionflower should not be used in those who are pregnant, as there are some chemicals present in passionflower that could cause the uterus to contract. There is not a lot of information about the risk of taking this herb when breastfeeding, so please don’t use it—just to be on the safe side. The central nervous system can be affected by the use of passionflower. 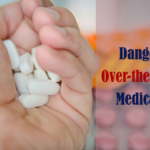 It can increase the effects of anesthesia or other medications during and after surgery. 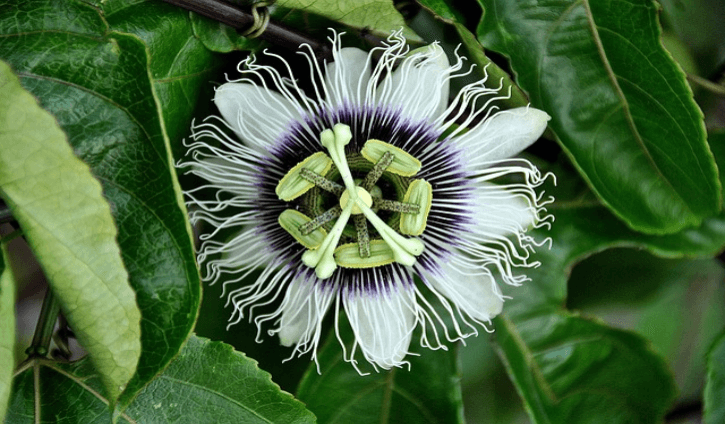 Passionflower ingestion should be stopped at least 2 weeks prior to scheduled surgery.